The plumbing industry may not be something most people stop to consider until they’re in a pinch and quickly need a plumber. Since they’re always in need, it’s no surprise that this industry is constantly growing. In fact, its projected growth is higher than the average of other occupations, making it the perfect industry to invest in. Since plumbers will always be needed and because this occupation offers a great salary, starting your own plumbing business is a great idea. Let us help you start your planning with the perfect resources. The plumbing industry is projected to grow by 16% from 2016 to 2026. Before jumping right into your new business venture there will be some details to sort out in order to ensure everything is as organized as possible. You will have to make some essential decisions, like what types of plumbing your company will perform and how big a staff you plan to employ. This will not only help you establish other critical details, like the supplies you will need and the space your business will require, but also help you start to develop your brand. Your brand will include a plumbing logo, but there’s more to it than that. You have to think about what your logo and overall brand say to potential clients and customers. Think about it this way, a commercial plumber won’t have the same type of logo as a residential plumber because they each have a different focus. These types of considerations will help shape your brand identity, so it’s essential that you don’t skip them. When designing your logo, the biggest distinctions in it will be the result of the services you offer. For example, since residential plumbers have more contact with their clients, a warmer and friendly brand is ideal. Commercial plumbers are largely unseen because they take on projects during non-business hours for the convenience of their clients. Because of this, a more polished and corporate logo will be perfect for the job. If your business specializes in one type of service, make sure this is highlighted in your logo. 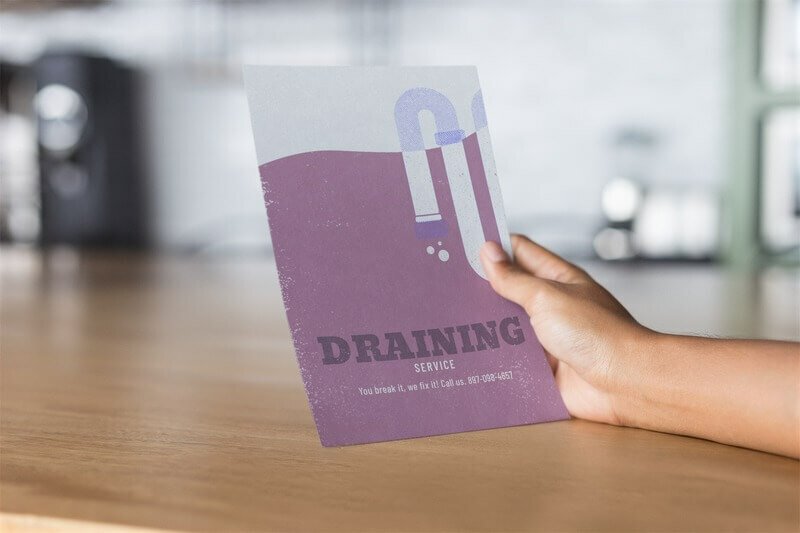 For example, if you specialize in water heater services, your logo will differ from that of a plumbing business that specializes in sewer repair. You know your plumbing business best, so it makes sense for you to take on designing your business logo yourself. We know that you’re a skilled plumber and maybe not a designer, but with Placeit’s plumbing logo maker you have nothing to worry about. 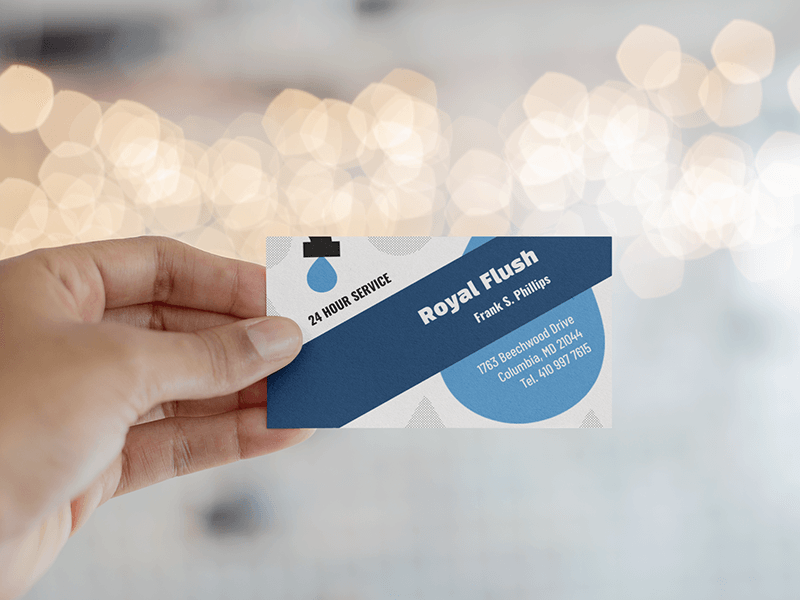 Creating your plumbing logo is as easy as selecting a template, typing in your business’s name, choosing an icon, and selecting colors for the different elements. That’s honestly all it takes to create a professional business logo for your brand. For even more help creating your logo, check out this instructional video. 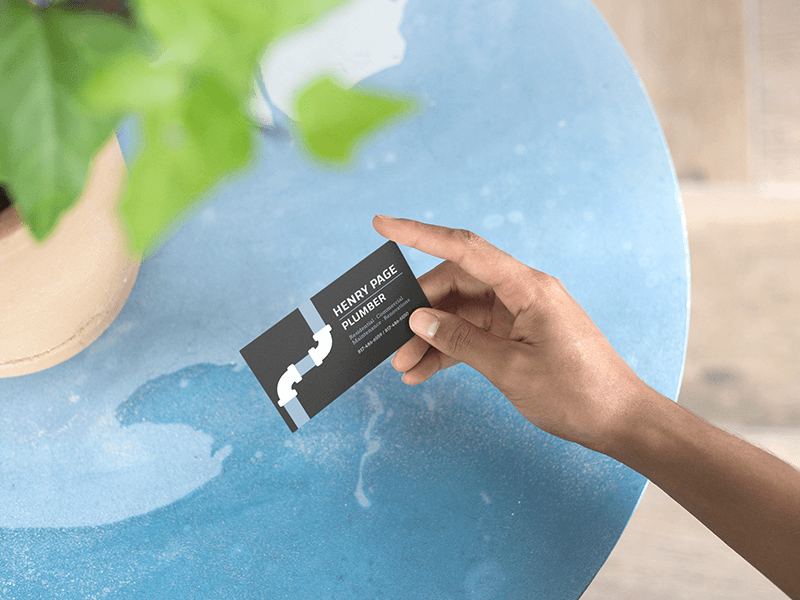 So, if you’re wondering how or where you can get a business card for your plumbing business, Placeit is the answer. 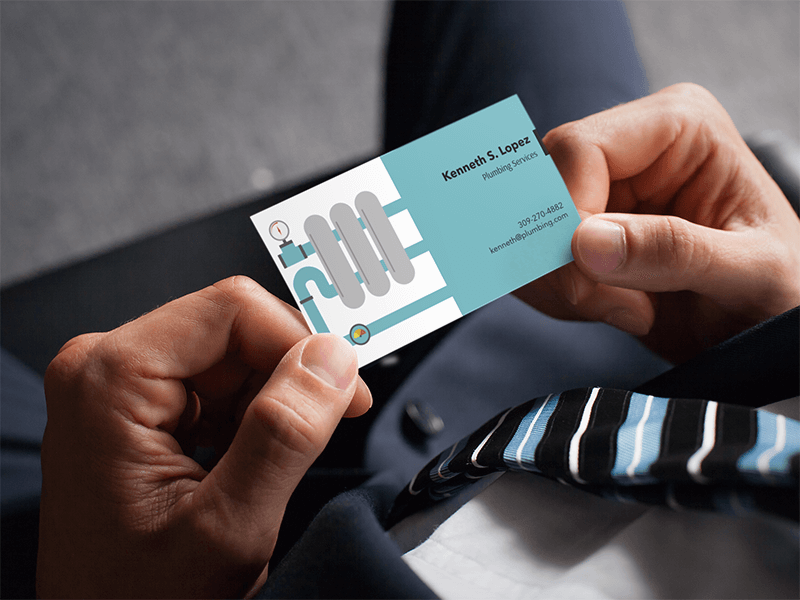 You can design a great plumbing business card in seconds and have it ready to print today! Check out some of the designs you can create using Placeit’s business card maker. If you want to make some sales, you will have to create a plan for marketing your business. 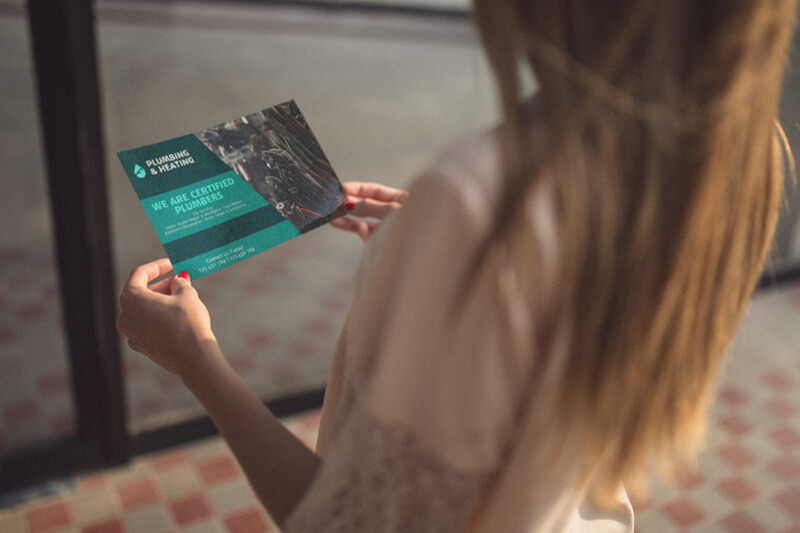 A good place to start is with printed materials you can hand out to potential clients, like flyers and the business cards we mentioned earlier. You will also benefit from making your business discoverable online. Business profiles on social media will help potential customers find you when they’re in need of a plumber. Encourage customers to leave reviews that will stand out to those searching for a reliable plumber. A website will also be essential if you want to connect to a larger market. Make your website user-friendly, include examples of past projects, and be sure your contact information is easy to find. Starting a small business of any sort is a big deal, so you should be excited about your new project. If you’re stressed out about brand aspects like your logo and business cards, you have nothing to worry about! With a bit of help from Placeit, you can design your own logo and business essentials right in your browser. With our unlimited subscription, you’ll have access to everything, including logo makers, business card templates, video templates, and flyer designs. Check it out today to see just how easy it can be to develop your brand. If you’re looking for something similar, you can also design a logo for many other types of businesses, including HVAC businesses and electrician businesses using Placeit’s logo templates! Want to know more on the subject? Read our Help Your Business Succeed with a Solid Roofing Logo! to learn how to upgrade your roofing business. Looking for another type of business logo? Placeit has plenty of service logos for you to choose from! 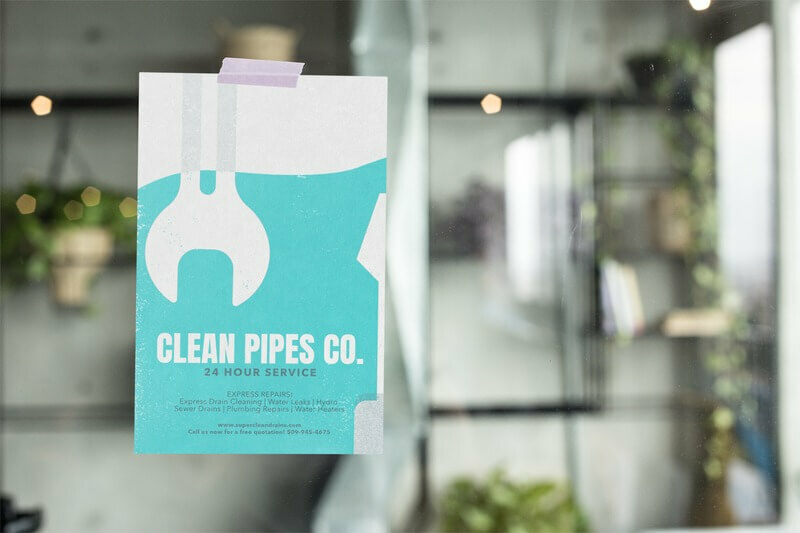 If you're starting a plumbing business, you may be a bit intimidated when it comes time to design your plumbing logo and other branding aspects. Luckily, Placeit has your back! In just a few minutes you can have the perfect business logo thanks to Placeit's logo makers. Learn how to make your own and how to brand your business in this handy guide. 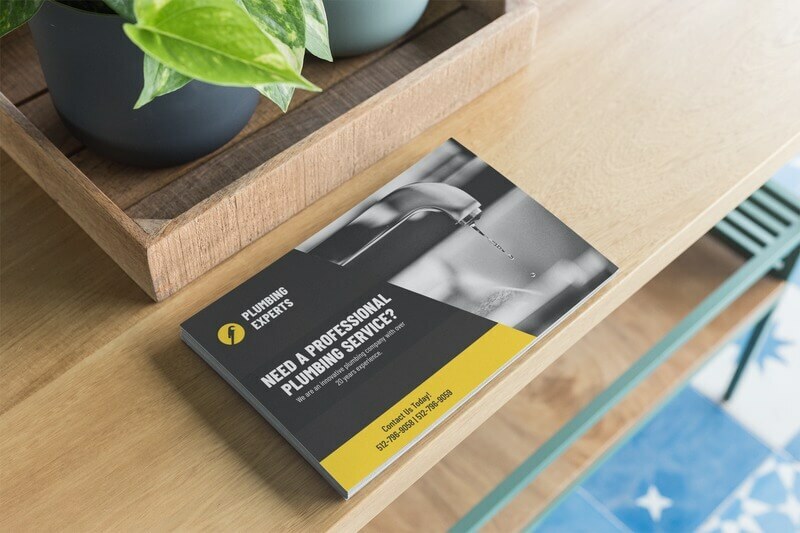 Design a Professional Plumbing Logo! 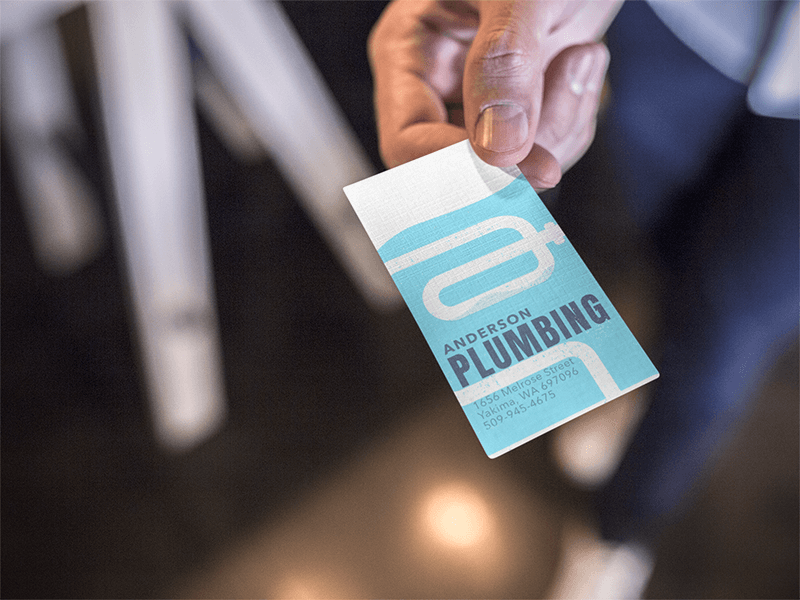 "Designing a plumbing logo was easy thanks to Placeit’s easy to use logo maker."